Low Tox Cleaning — Essentially Me! ON GUARD (Protective Blend): all of the above! Grate or blitz soap bar to fine powder, then add everything else and blitz. Use a heaped tablespoon per load. Directions: Mix dry ingredients in a large bowl. Place essential oils with a TINY bit of witch hazel in a spray bottle. Spray the mixture carefully, stirring between sprays. You want the mixture to become slightly damp, but not so wet that it begins to fizz. It will still be kind of dry and crumbly. Spoon the mixture into small silicon moulds and press down firmly. Allow them to dry overnight. Pop them out of the moulds, and store in a glass jar. To use, just toss one bomb into the toilet. Watch it fizz away, and enjoy the pleasant aroma from your chosen essential oils. A simple way to rid your house of dust mites is to clean your mattress, carpet and upholstered furniture using just baking soda and essential oils. Studies have shown that dust mites can be killed by using essential oils. When combined with baking soda, which absorbs moisture, deodorizes and sanitizes, this powerhouse duo can be an extremely effective, natural, and non-toxic household cleaner. Directions Add the baking soda and essential oils to a glass jar. Shake to evenly distribute the oils. Leave overnight if time permits. Put the baking soda mixture into the sifter and sift across your mattress, carpet or upholstery. Leave the mixture on for at least an hour. The longer you leave it, the better the results. Then vacuum mixture up (tip: use your vacuum hose only to remove the mixture from mattresses). Note Use an essential oil that will help further repel dust mites, such as Lavender, Eucalyptus, Peppermint, Clove, Rosemary or Purify blend. You may wish to patch-test this mixture on delicate fabrics prior to use. This soft scrub is excellent for getting rid of soap scum, removing stains, and brightening your tile and toilet. To use, just apply and let it sit for 5-10 minutes and then scrub. Once done scrubbing, take a wet cloth and wipe clean. 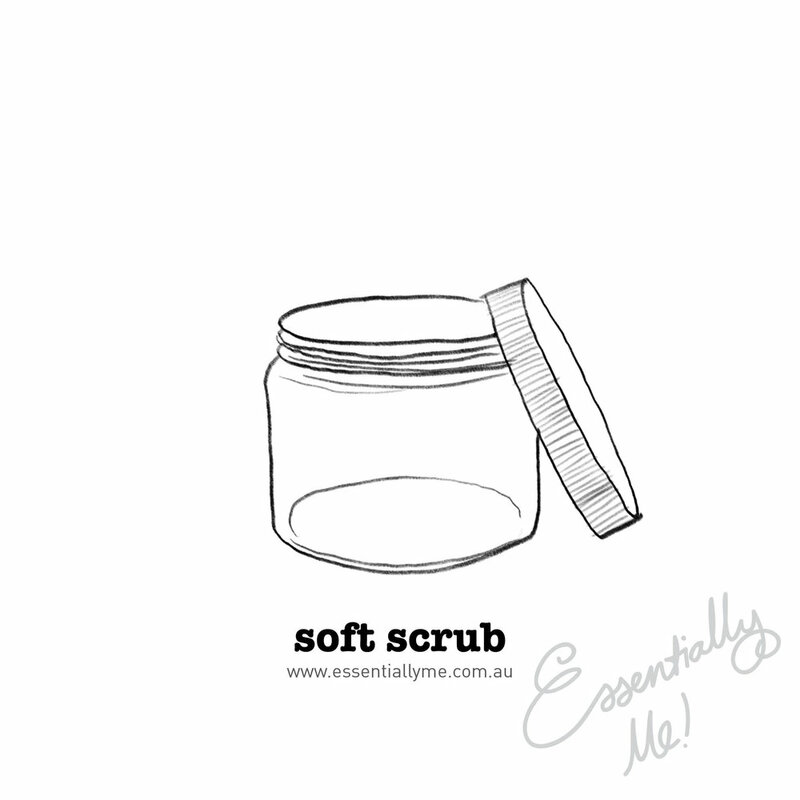 This scrub is also great to use to help clean your kitchen sink, refrigerator, or tile floors. This recipe makes enough for two to four applications. Note Liquid castile soap is a vegetable-based soap commonly found in health food stores. Dr. Bronner’s is a popular one. Look for unscented. Directions In a bowl, combine the baking soda and castile soap. Add the water and stir. Add the vinegar and essential oil. The consistency should be a soft paste. Store in an airtight container. Directions Put 1/4 cup baking soda into the glass jar. Add 5-6 drops of your favourite doTERRA essential oil or blend. Put the lid on top of the glass jar and seal it tight. Take your hammer and nail and punch small holes in the top. Place the jar in an area you would like to keep smelling fresh. This could include: the bathroom, near a garbage bin, in your closet, near your dirty clothes, etc. Shake the jar often to activate the fresh scent. If the scent starts to fade, simply add 2-3 more drops of essential oil into the jar. Recommended Essential Oils Balance, Geranium, Eucalyptus, Lavender, Lemon, On Guard, Purify, Citrus Bliss or Wild Orange.